Kevin Smith shares new photos showcasing an incredible 10-year weight loss transformation. 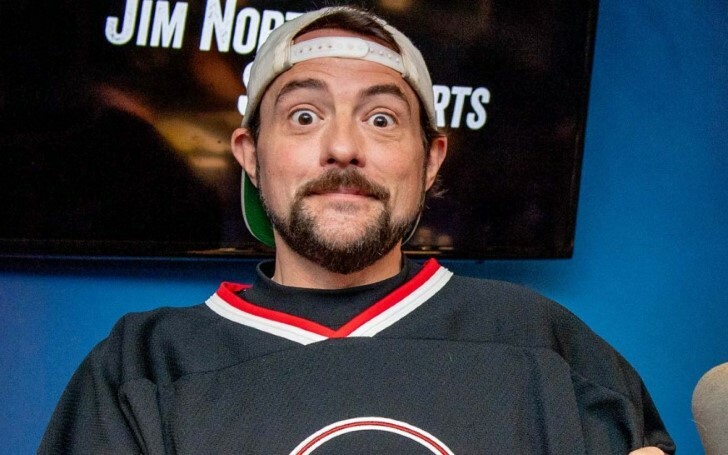 Kevin Smith posted new pictures on his social media accounts acknowledging his incredible 10-year weight loss journey. The 48-year- old actor took to Twitter, to showcase a collage of what he looked like 10 years ago compared to the present day. His post since then garnered him with praises and personal stories from the Weight Watchers ambassador’s followers, with one user sharing how Smith’s experience inspired his own transformation. Smith notably shed almost 51 pounds of weight considering the doctor's advice after suffering a near-fatal heart attack earlier in August of 2018. According to Smith, doctors told him a week after the heart attack, "The best thing you can do for yourself now is to lose 50 pounds." Nearly six months later, the 48-year-old filmmaker initially weighing 256 pounds reached his goal of shedding 51 pounds and now weighs 205 pounds. He dedicates much of his weight loss to his partnership with Weight Watchers, Penn Jillette's book Presto!, and a solely plant-based foods diet, which he said was difficult because he "hates vegetables." By October of last year, Smith lost even more weight, hitting 198 pounds on the scales. It's the first time he weighed under 200 pounds since high school. Smith frequently documents his weight-loss journey on social media since his health scare. In June, he posted an update about his then 43-pound weight loss. When ET caught up with the comedian in July, he admitted how almost losing his life altered his perspective towards health and healthy eating habits. "I just assumed I'd be fat my whole life and I'd never see my high school weight again or any of those things. But after the heart attack, suddenly I was like, all right, I never want to be back in that room again with someone going up my groin to get to my heart through my femoral artery, telling me that there is a 20 percent chance that I will live, and 80 percent chance I'll die." Meanwhile, Smith isn’t done with the weight loss as his goal is to reach 195 pounds.